The Netgear R8000 100UKS AC3200 Nighthawk X6 Tri Band WiFi Router is designed to provide blazing WiFi speed and is sure to deliver excellent performance. With a weight of just 1.1kg, this router is easily portable. Available in a sturdy black colored body, the router is perfect for large houses and will provide breakthrough TriBand WiFi at any part of your home. With a 1GHz Dual Core processor with three offload processors, you can connect multiple devices simultaneously like your laptops, tablets, phones, etc. and carry out all essential tasks at astonishing speed. You get maximum speeds of up to 3.2Gbps. The Nighthawk X6 takes your WiFi experience to another level with TriBand WiFi and comes built with six high performance antennas that provide great and thorough coverage in your home. The Smart Connect feature designates slower and faster devices to separate WiFi bands, whereas the Beamforming+ technology improves the wireless range and reliability. This router comes equipped with the NETGEAR Genie app that makes it easy for you to manage your wireless network. This router also provides the highest security across all connected networks and ensures privacy while surfing online. The Nighthawk X6 ends game lag and delivers immersive, uninterrupted, online gaming. 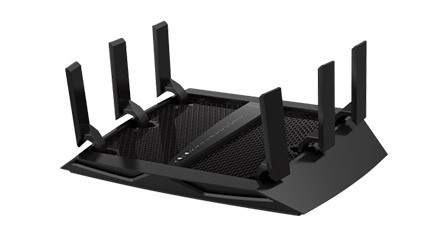 With a 2.4GHz band and two 5GHz WiFi bands to work with, the Nighthawk X6 has the capacity, flexibility, and ability to assign each device to the WiFi band, where it can connect at its maximum possible speed. This means that faster devices can connect to faster networks with their performance unhindered by slower or older devices; you can make the maximum use of their capacity. The six antennas deliver extremely high speeds and a broad coverage. The Beamforming+ technology enables you to create stronger and more reliable connections for all to enjoy. Thus, you can roam freely and enjoy high WiFi coverage and performance anywhere in your home. With the built in USB 3.0 and USB 2.0 ports on the Nighthawk X6, you can connect the USB storage you already own and enjoy high speed access via WiFi. 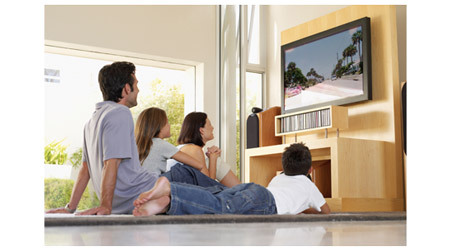 The ReadySHARE USB also lets you play, view, listen, and share your videos, photos, and music on connected TVs or media players. With the ReadyShare Vault PC software, you don't need to schedule automatic backups to protect precious photos and files. The router comes with ReadyShare Vault that is free to download and easy to use with the Nighthawk X6.